Paw Quality Comics: Death to Vinyl! 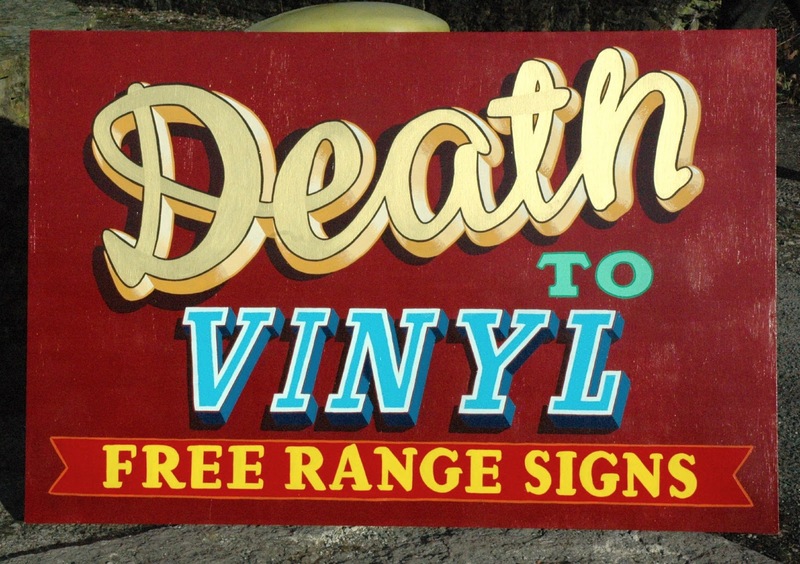 My latest sign, 120 x 82cm, bemoaning the sad fact that most signs are either digitally printed onto or digitally cut from stickyback vinyl. It always looks so noncommittal to me, as if you don't really intend to keep your shop open for more than a year or so. A good handpainted sign shows that you plan to stay, and are serious about your enterprise - you MEAN it!